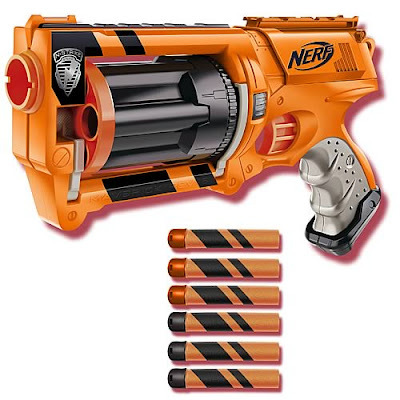 Nerf's most popular blaster gets a hot new paint job with this Maverick Rev-6 Gear Up Blaster. It's got that G.I. Joe "Tiger Force" feel to it. I can't wait to add this to my Nerf arsenal. As luck may have it, Entertainment Earth's new sale will save you 30% off all in-stock Nerf and Super Soaker items. Check out their inventory and then arm yourself to the teeth.